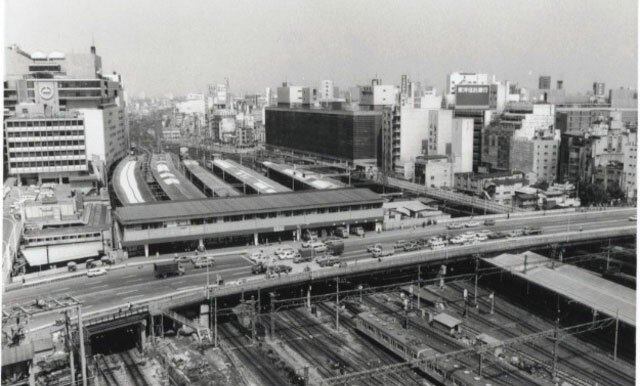 It may be hard to believe today, but samurai warriors once slept not far from the sprawling, mind-boggling modern transport hub that is Shinjuku Station in Tokyo. The station’s history reflects the history of Japan itself – a stunning transformation from a late-medieval society into a global economic powerhouse. “Shinjuku” literally means “new lodgings” and Naito-Shinjuku was the name given to a post-station town in use during the Edo period (1600-1867), with Naito referring to the Naito clan that held land in the area. At the time, samurai lords and their many retainers would travel the Koshu-kaido highway leading westward from the castle of the shogun, Japan’s supreme military ruler. Travelling on foot, the samurai would use the inns and taverns at Naito-Shinjuku, the first stop along the highway going west. In the 1860s, Japan cast off feudalism and began a rapid program of modernization, with the first railway opening in 1872. 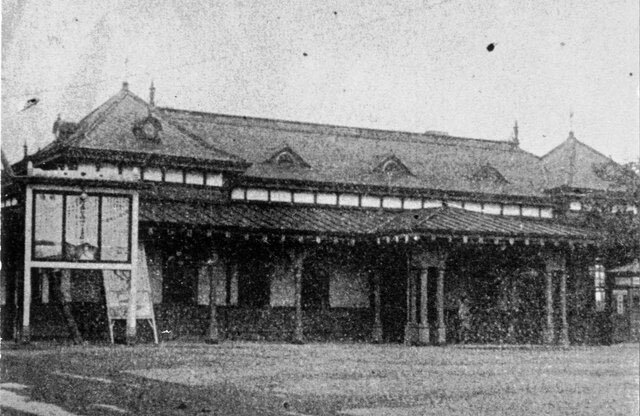 Shinjuku Station itself was born in 1885, opening as a stop on the Akabane-Shinagawa Line operated by Nippon Railway, Japan’s first private rail company. The line would eventually become the Yamanote loop line, the most famous in the country. Before that happened, however, Shinjuku Station grew with the additions of the Chuo Line in 1889, the Keio Line in 1915 and the Odakyu Line in 1923. It was in the 1920s that Shinjuku as a district began to grow rapidly, with its population jumping 62 percent in the decade to 1930. 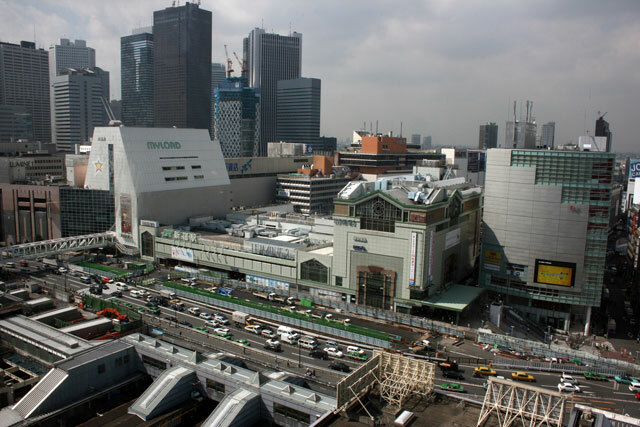 Two years later, the area became Yodobashi Ward, which grew significantly by swallowing Yotsuya and Ushigome wards in 1947, when its name was changed to the current Shinjuku Ward (Yodobashi, however, survives in Yodobashi Camera, a major electronics retailer whose flagship store still sits across from Shinjuku Station’s West Exit). 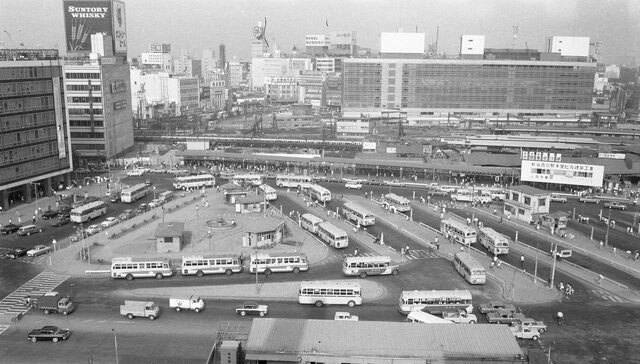 Shinjuku Station continued to expand in the postwar period, adding subway services with the Marunouchi Line in 1959, the Toei Shinjuku Line in 1980 and the Toei Oedo Line in 2000. These form part of five satellite stations that orbit the massive complex that formed around the original station from 1885. The entire facility now has over 50 platforms and more than 200 exits, with some of its many intercity, commuter rail and subway services operating from 4:30 A.M. until 1 A.M. the following morning. In 2011, Guinness World Records certified Shinjuku Station as the busiest in the world, with an average of 3.64 million passengers per day. Of course, the farmland that once characterized the district in the Edo Period has given way to a dizzying array of shopping malls, office towers and pachinko palaces as well as a seemingly infinite number of noodle shops, fast food joints, bars, pubs and karaoke parlors – not to mention East Asia’s largest red light district, Kabukicho. Shinjuku’s ascendant economic stature was transformed into political power when the new city hall for Japan’s capital, the Tokyo Metropolitan Government Offices, was built west of the station in 1991. Kenzo Tange’s 48-story split-tower masterpiece has been compared to everything from a Gothic cathedral to a vertical city in a science fiction film. Just as City Hall reflects Shinjuku as the power center of Tokyo, Shinjuku Station continues to one of the most important places in Japan to feel the pulse of the nation – TV news crews report from its South Exit in times of severe weather, natural disasters, political elections and transport disruptions. In many ways, Shinjuku is Tokyo, and, by extension, Japan. The “new lodgings” have grown into a new country and a new society in the 21st century.